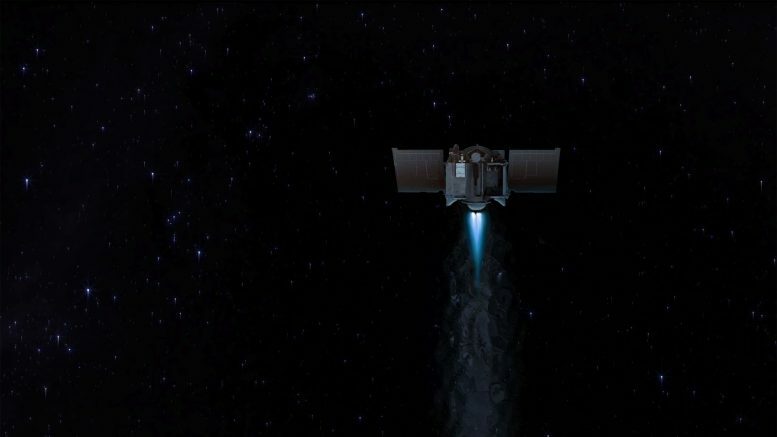 During the next six weeks, the OSIRIS-REx spacecraft will continue executing the series of asteroid approach maneuvers designed to fly the spacecraft through a precise corridor during its final slow approach to Bennu. The last of these, AAM-4, scheduled for Nov. 12, will adjust the spacecraft’s trajectory to arrive at a position 12 miles (20 km) from Bennu on Dec. 3. After arrival, the spacecraft will initiate asteroid proximity operations by performing a series of fly-bys over Bennu’s poles and equator. Be the first to comment on "OSIRIS-REx Spacecraft Executes First Asteroid Approach Maneuver"